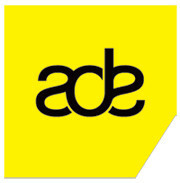 The Amsterdam Dance Event returns for its 17th edition this year. The most important conference and showcase festival for electronic music will once again take place in the buzzing city of Amsterdam, welcoming over 700 DJs, 3,000 conference delegates and 140,000 festival visitors from over 60 different countries. This year the event adds an extra day, taking the total to five days from 17 - 21 October.